Spinal fractures may or may not cause pain. If yours is painful, the doctor may have you try various drugs and medications to help deal with the pain. These spinal fracture medications won't help you heal faster. Their purpose is to relieve your pain so that you can get through your day-to-day activities. Also, you can take advantage of the pain-free period the drugs and medications give you by doing physical therapy to strengthen your spinal muscles.With drugs and medications, you always want to start out with the lowest dosage of the "weakest" medications. That is—unless you're in excruciating pain and it's an extreme circumstance, the doctor probably won't start you out on a narcotic like morphine. There is a progression to spinal fracture medications. Most likely, you'll start with an over-the-counter medication. If that sufficiently relieves your pain, you won't have to try anything stronger. If it doesn't, talk to your doctor, and he or she may prescribe something stronger for you. As with any drug or medication, talk to your doctor before trying anything. There may be side effects or interactions that you're unaware of, and you want to be safe as you try to deal with your pain. Acetaminophen is marketed as Tylenol. It's proven to be a good pain reliever, and it doesn't have as many side effects as, for example, aspirin. However, since Tylenol/acetaminophen is just an analgesic—a painkiller—it doesn't work to reduce inflammation. Therefore, if you have any inflammation around the fracture and that inflammation is pressing on a nerve, Tylenol will not be able to reduce the inflammation. All it does is block your brain from receiving pain messages. Unlike Tylenol/acetaminophen, an NSAID can reduce inflammation. It does that by blocking the body chemical that causes inflammation. There are plenty of over-the-counter NSAIDs to try: ibuprofen (Advil), aspirin, or Aleve. However, it's important to keep this in mind: some inflammation may actually be helpful in the bone healing process. Before starting any NSAIDs—even over-the-counter ones—talk to your doctor about if it'd be good for you. 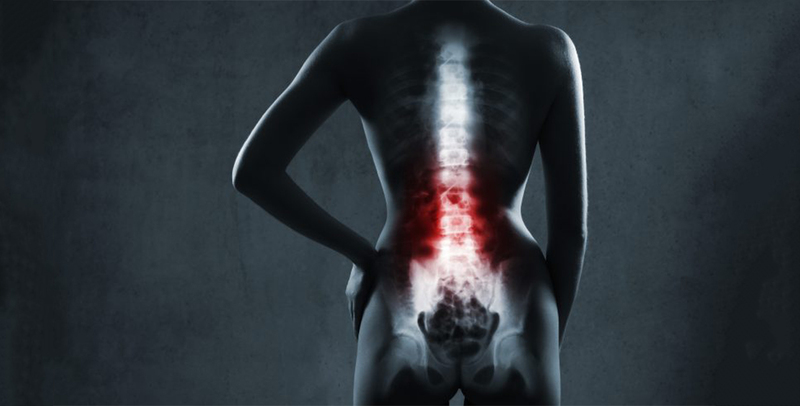 Spinal fractures can cause your spinal muscles to work harder as they try to support the spine. Overworked muscles can have spasms, and those can add to your pain. A muscle relaxant will help stop the pain. Valium is a muscle relaxant. If the fracture is causing nerve problems, you may need to take medication that specifically targets the nerves. Neurontin and Cymblata are two examples. These are very serious medications, and they should be used only in the most extreme cases and under the careful supervision of your doctor. Opioids, also called narcotics, work to raise your threshold for pain. So even if your body is in a lot of pain, the opioid's effect on your brain convinces you that it's not that bad. Fentanyl and Vicodin are two examples of opioids/narcotics. Like the over-the-counter variety, prescription NSAIDs work to reduce inflammation. The doctor may recommend a COX-2 Inhibitor, such as Celebrex. It's a newer development in the world of NSAIDs, and it doesn't cause as many gastrointestinal side effects as some other prescription NSAIDs do. Again, your doctor will help you find the right spinal fracture medication and dosage for your pain, but don't feel that your life is controlled by spinal fracture medications. It may take a while to find the best balance.